Google Duo — a video-focused chat service — serves as a stand-alone app that's part of Google's broader current offering of consumer-facing communications tools. In 2018, it serves as one of two complementary apps intended for broad consumer use. Google Duo offers one-to-one video messaging, similar to Apple's FaceTime product. Available for both Android and iOS, Duo aims to simplify the video-chat experience by offering simple controls and only person-to-person communication. It doesn't require a separate account; log in with your phone number, and connect with other Duo users based on their phone number in your contacts list. Duo also offers a web version; Google's use of the WebRTC standard means that desktop clients (even ones not developed by Google) could also work with the service. Duo offers a unique feature called Knock Knock that plays the video stream of a caller so you know who's there and what that person might want before you choose to answer the video call. Google continues to iterate the Duo product. In March 2018, the app gained a feature to leave 30-second video messages for call recipients who aren't available to answer, as well as a rudimentary screen-sharing feature. In October 2017, Duo hooked into the Android Messages, phone dialer, and contacts apps on Google-branded phones; similar hooks into devices offered by other manufacturers follow based on those manufacturers' update plans. Google's strategy has shifted as its service portfolio has changed and as the strategy of Alphabet, its parent company, has evolved. In addition, Google's commitment to open standards waxes and wanes in light of competitive pressures. Duo, for example, supports WebRTC but Hangouts uses proprietary algorithms imperfectly interoperable with web standards. Google Duo is a solid and easy-to-use mobile app for person-to-person video chat, with a few nifty features layered on top. 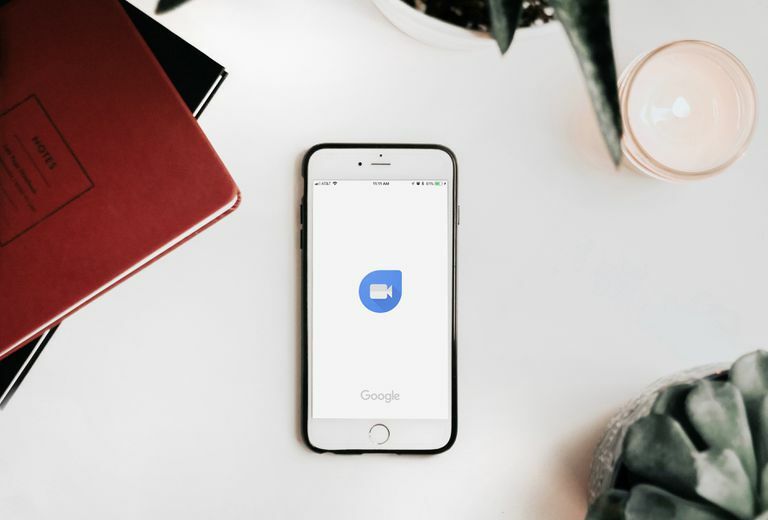 If you and your friends and family are wedded to the Google communications ecosystem, you'll find Duo to be fast, convenient, secure, and simple. The challenge, however, is that Google's been notorious for building and discarding different messaging apps every few years; the company's strategy doesn't appear to be especially user-friendly and the odds that Duo will hang around for the long run are anyone's guess. The problem, in a nutshell, isn't with the app — which is solid and improving — but with the ecosystem. When the market is saturated with video-chat apps, the friction to get a reasonably large number of users to use an app increases. Because Duo replicates most of the functionality of Hangouts, but it also competes with Facebook Messenger, Skype, Viber, WhatsApp and a host of almost identical but more widely established competitors, the odds that people will flock to Duo decline, especially when the logic behind using more than one video-chat app service at the same time just isn't sound. Without a critical mass of users, the app platform will fail, no matter how good it might be in theory. So, give Duo a try — it's a solid app. Assuming, of course, any of your contacts can be persuaded to use it.